before entering the shower or when using the sink. 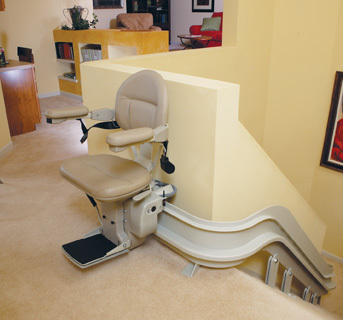 Custom Stair-Lifts can solve many problems by providing Access between floors. They are available for Straight Run Staircases but as the Bruno Stair-Lift shows they can also make inside and outside turns to meet almost any staircase design. Here is a list of frequently asked questions. Feel free to contact us to ask questions. 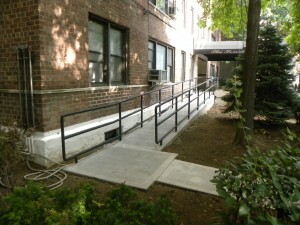 1 Can I use a ramp for a few steps within my house? 2 Why can’t a ramp start at a door. Is a Landing required or needed? 3 What are the different ramp types ? How do I choose between wood, aluminum, metal or Trex? 4 What size should a doorway width be? 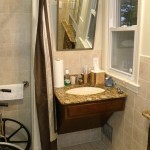 Does it depend on my wheelchair or walker or other type of appliance? 5 What are the different types of stair-lifts? 6 Can stair-lifts make turns? 7 What is the difference between using stair-lift and using a wheelchair lift? 8 When is a wheelchair lift or inclined platform lift applicable? 9 Is an elevator for me? How do I determine if an elevator would work in my home or business? 10 When do I need an architect? 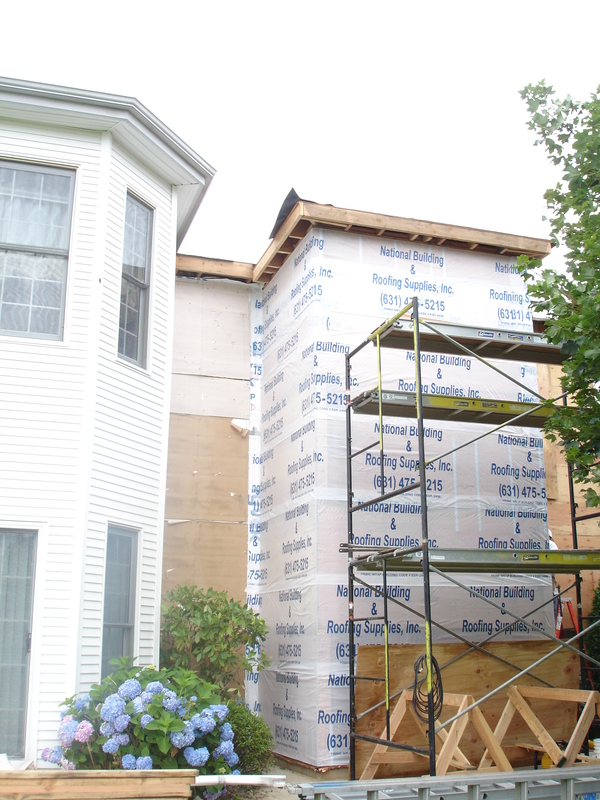 11 What do I need to know when selecting a contractor? 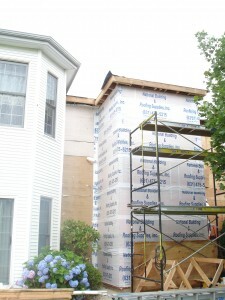 12 How do I find the right contractor for my project? 13 What is a roll-in shower and how does it work? Can I use one in my bathroom? 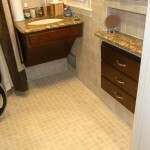 14 What is a pre-fabricated roll-in shower and how is it different from a tile shower? 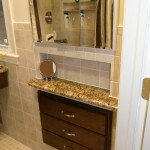 15 What are the differences between straight, custom and flip-up grab bars? How do I decide on a style? I’m very interested to learn more about your issues and needs. Let me know if you have any questions that I could offer some answers to. There are many changes in the accessible design fields from many new products to many more person’s entering into the field. It’s a great time for independence and in future blogs we will discuss everything from good design to thoughtful products that will make life easier…Ron Mace an Architect who had a disability coined the term ” Universal Design ” was a brilliant designer, architect and advocate and I was fortunate to have met and learned from him. Ron would have been very excited about how things have progressed. The Yang to that it has also become more expensive, the companies making these new products are mostly larger firms, who need to recoup their investments. But there are alternatives and as more persons, especially the senior market, continue to purchase these product lines, they will come down in price…yes the ” Ying” !